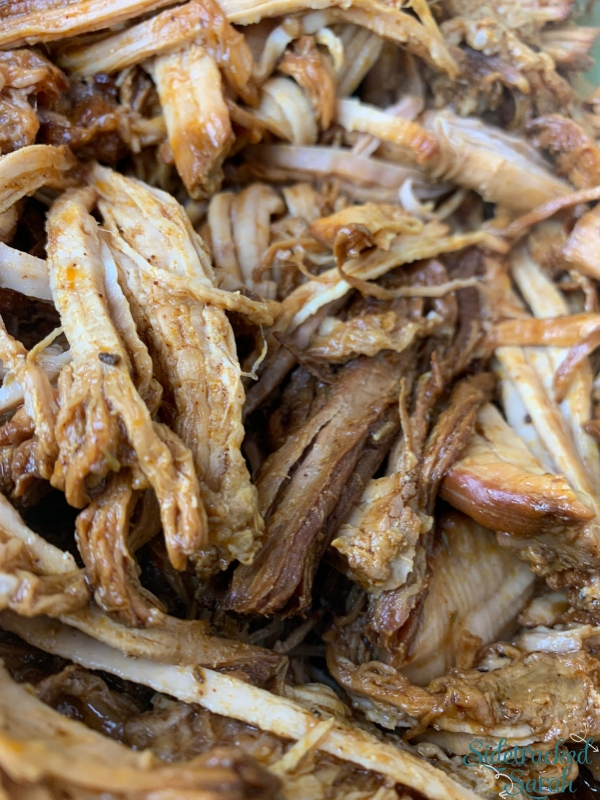 This Instant Pot Pulled Pork recipe tastes like it’s been simmering away all day, but it’s ready in a fraction of the time! It’s so delicious and versatile that you’ll want to make it a regular on your menu plan. 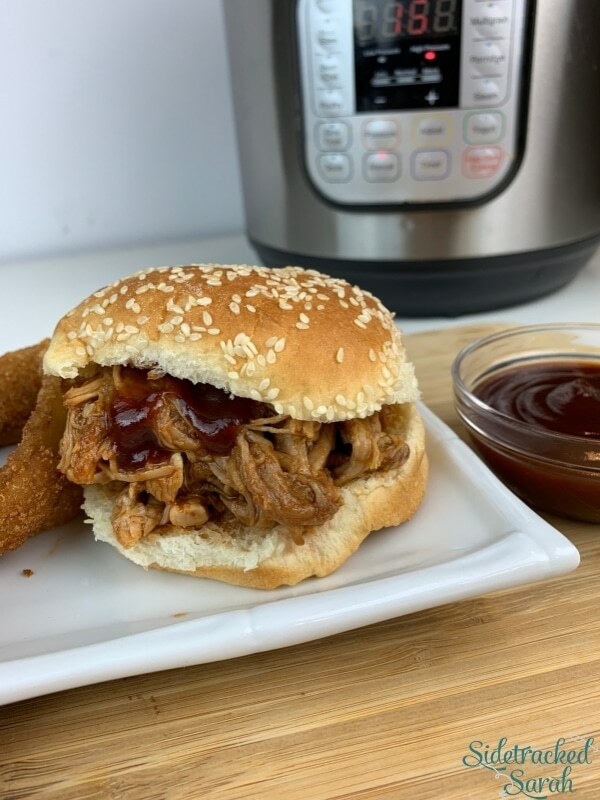 We love Instant Pot Pork recipes! Some of our favorites include Instant Pot Apple Pork Chops and Super Easy Instant Pot Ham. Pulled pork is so amazing in so many ways. Tender shreds of yummy pork roast seasoned to perfection…what could be better, or more versatile? Not having to spend all day cooking the pulled pork is pretty nice too! With your Instant Pot, this recipe is ready in a fraction of the time. WILL THE INSTANT POT PULLED PORK BE TENDER ENOUGH? Usually, pulled pork is cooked low and slow for hours, resulting in a roast that literally pulls apart with forks. With the magic of pressure cooking though, this is accomplished in under an hour! You will get the same tender, delicious shreds of pork without having to start your dinner before you’ve finished breakfast. Works for me! 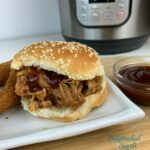 WHAT SHOULD I SERVE WITH INSTANT POT PULLED PORK? One reason I love pulled pork is because the options are almost endless. You can serve it on a roll or with cornbread muffins, or you can ladle it over mashed potatoes or polenta. 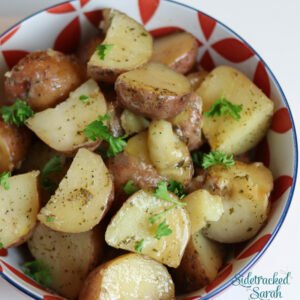 It makes a yummy filling for baked potatoes or sweet potatoes, and it’s delicious over pasta or rice. Get creative! WILL INSTANT POT PULLED PORK FREEZE WELL? This pulled pork recipe freezes very well! I suggest making extra if possible, or making some as part of your weekly or monthly meal prep. Then, it’s easy to pull out of the freezer whenever you need it! Mix together garlic, mustard, Worcestershire sauce, vinegar, chicken broth, barbecue sauce, brown sugar, chili powder and thyme. Place pork shoulder in Instant Pot. Pour onions over the top of the pork shoulder. Pour sauce over the top of that. Close lid and valve of Instant Pot. Cook on Manual/Pressure Cook, high pressure for 75 minutes. Natural release. 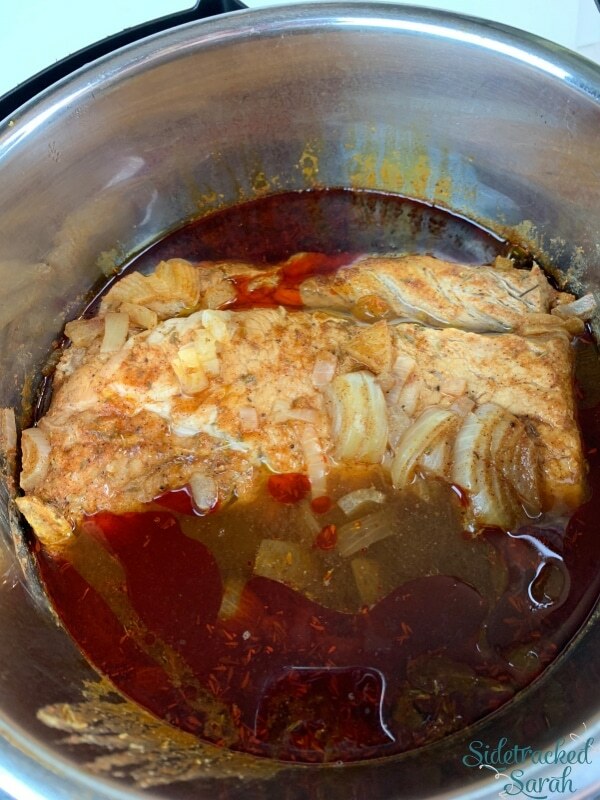 Mix in some of the sauce to moisten it and/or add extra BBQ sauce until it's the desired moisture and sauce coverage. 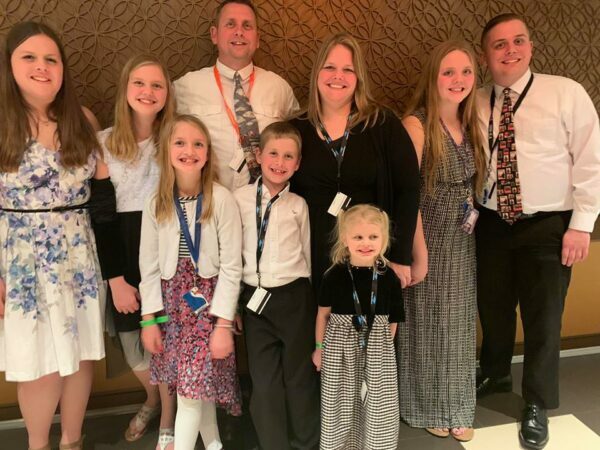 Recently we went on vacation with the whole family including the two college kids! We had a formal dinner and was fortunate enough to get this picture after we ate. I post a lot of pictures of my kids, but I its not too often I get a chance to show off my whole family in one photo. We made some great memories!